My year has started off with two nonfiction reads. This in itself is something to shout about because I think this must be a first. Anyway let me tell you about these books that I do recommend. Andrés Neuman a writer living in Spain, was off to do a book tour in several countries in Latin America. The pace of the book tour was going to be hectic and he wasn’t going to have much time in any one spot but these vignettes he accumulated while waiting at airports, riding in cabs and visiting bookstores would prove to be keen observations of the current state of affairs in the different countries. While it was fascinating to read about how he observed the political events in the countries and how regular citizens reacted to the events, perhaps what spoke to me the most about this book were all of the mentions of authors and literary works from Latin America. Every time you think of Latin American fiction you might think of Gabriel Garcia Marquez, Isabel Allende or Jorge Luis Borges but this book reminded me that there are so many authors, and so many rising stars from these countries that I have promised myself to look for more of their works. 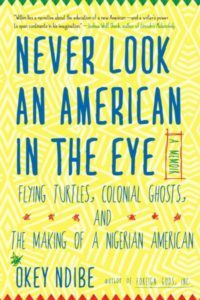 This writer’s tale of coming to America from Nigeria is filled with colorful experiences while he adjusts to his new home. While he originally had Britain as his number one destination a chance encounter with writer Chinua Achebe put him on the road to America. His life in America was filled with try to maintain a publication afloat, some culture-shock moments and many observations on anything from speech patterns, friendly gatherings and a very funny story even about his name. Okey is pronounced Okay so you can see where some confusion will ensue. I always enjoy reading immigrant stories as anyone moving to a new homeland will surely encounter many of the same feelings, frustrations and joys of leaving loved ones behind and making a new home. Both of these books count towards my Nonfiction Reading Challenge. Both of these sound interesting! Good choices for nonfiction, so I’m taking note. 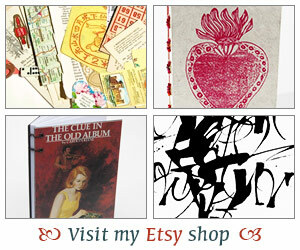 Ooh, interesting reads! The first really sounds like something I’d enjoy. These both sound interesting, and they both sound like books that could be read in short spurts when I have a few free minutes. I’m going to take a closer look. These both sound interesting! Especially the Andres Neuman one, it’s nice when one book can lead you to reading other authors. Glad you enjoyed these! Both of these sound interesting. 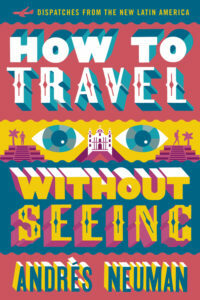 I really would probably benefit from reading How to Travel Without Seeing. I like the way you described it and what you got from it. I can see that being something that I would take away from it as well. Okey Ndibe’s book even more intrigues me. I will be on the look out for both of these! Thank you, Iliana!